Drug overdoses in Cuyahoga County are on pace to be the highest in more than a dozen years and a new report from the Bipartisan Policy Center reveals how much federal funds are delegated not just in Cuyahoga County, but in Ohio to fight the growing opioid epidemic. CLEVELAND — Drug overdoses in Cuyahoga County are on pace to be the highest in more than 12 years, and a new report from the Bipartisan Policy Center reveals how much federal funds are delegated not just in Cuyahoga County, but in Ohio to fight the growing opioid epidemic. From 2014 through 2017, Ohio had the highest number of opioid-related overdose deaths per year than any other state. 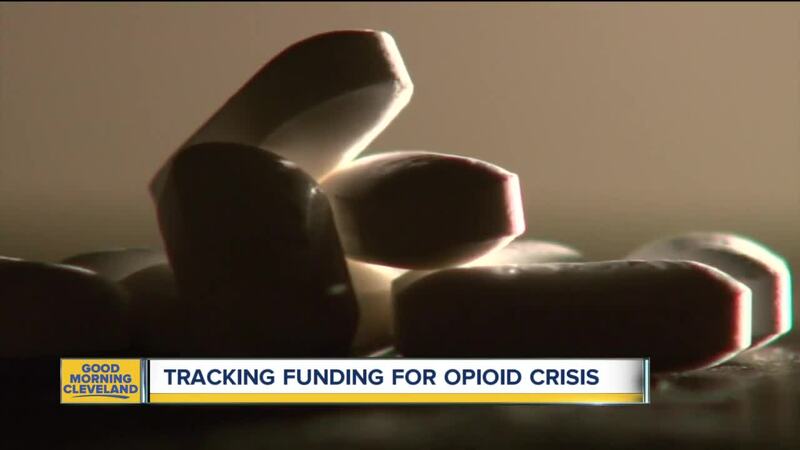 Ohio has received more than $350 million over the last two years from 57 different federal departments get a grip on the epidemic. 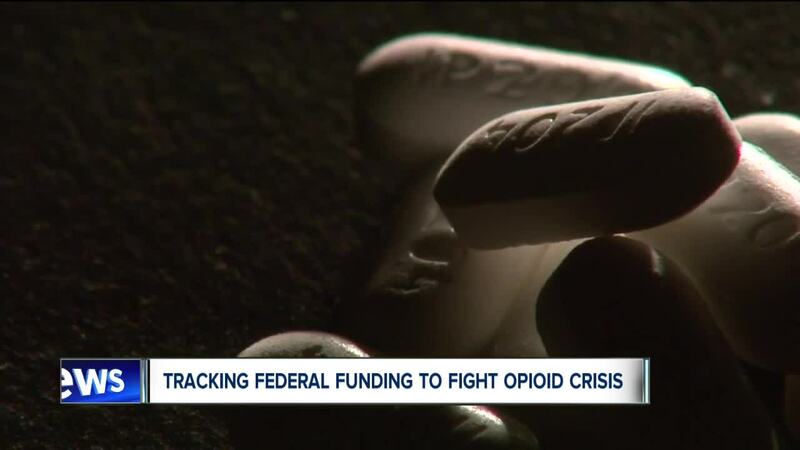 In 2017, federal money to address the opioid epidemic nearly doubled from $119, 030, 856 in 2017 to $224, 921, 519 in 2018. The majority of the money spent by the state focuses on treatment and prevention services. The Ohio Department of Mental Health and Addiction Services (OhioMHAS) administers the majority of federal opioid funds to local county alcohol, drug addictions and mental health (ADAMH) boards. In Ohio, there are 50 ADAMH boards that encompass all 88 counties and the money spent on recovering, treatment and prevention services is funded by local property taxes. In 2018, the highest amount of funding went to Cuyahoga, Franklin, Hamilton and Montgomery counties, according to the study. The report also examined how federal opioid investments are spent across five geographically diverse states: Arizona, Louisiana, New Hampshire, Ohio, and Tennessee. Since 2011 in Ohio, Ohio has led the country in overdose death rates and even though there are signs of a slow down on a national level, the opioid problem will likely impact Ohio for years to come.